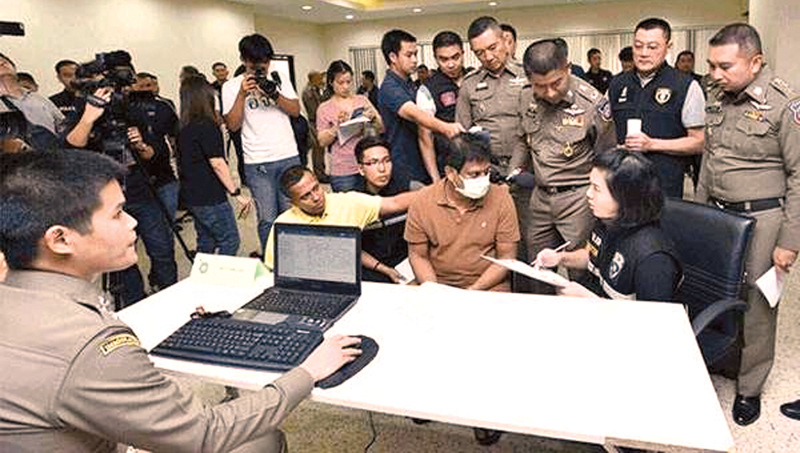 Thai Police arrested a Sri Lankan wanted for drug trafficking in Sri Lanka. The suspect Saliya Perera, a resident of Hikkaduwa, was arrested on September 7 in Thailand based on an Interpol red warrant issued against him, Police Media Spokesman SP Ruwan Gunasekara said. The Police Spokesman told the Daily News that on November 5, 2013, a Liberian national was apprehended by the BIA Customs officers while attempting to smuggle 30 kgs of heroin out of the country. The Bangkok Post reported that Saliya Perera was apprehended in front of the Narathiwas Residence Hotel on Sathu Pradit Soi 19 in the Chong Nonsi area. Officers had asked him to produce his passport and found that he was wanted on an Interpol red notice. Officers from the Immigration Bureau, the Tourist Police Bureau, the Patrol and Special Operations Divsion and other agencies had been tracking the suspect’s whereabouts following a request by Sri Lankan authorities to country members of Interpol. Interrogation revealed that Saliya Perera had entered Thailand on a tourist visa in late 2013. He renewed his visa regularly until 2016 until he found that he was wanted on an Interpol red notice. At that point, he told investigators, he stopped renewing his visa for fear of being arrested. SP Gunasekara said the PNB had also presented facts to the Negombo Magistrate’s Court for the arrest of the other two suspects involved in the case.